The drug Bloktran is an antagonist of angiotensin receptors type II. The drug is available in the form of tablets coated with a light pinkish-orange shell. Tablets are biconvex in shape. The active ingredient is losartan potassium. 1 tablet of the drug contains 50 mg of losartan potassium, as well as additional substances: starch, MCC, lactose, low molecular weight polyvinylpyrrolidone, magnesium stearate, colloidal silicon oxide. The shell contains: hypromellose, talc, copovidone, tween-80, titanium dioxide, dye - yellow-orange sikovit 85 (E110). Available Bloktran in blister packs of 10 pcs. They are enclosed in cardboard packs in the amount of 10,20,30,50,60. The drug has an antihypertensive effect due to participation in the mechanism of the angiotensin-aldosterone system. Potassium losartan is a specific angiotensin II receptor antagonist (subtype AT1). Reduces the total peripheral vascular resistance, as well as the concentration of angiotensin and aldosterone in the blood. Afterload falls on the heart muscle, which makes it impossible to develop myocardial hypertrophy, the diuretic effect is manifested. Losartan does not show an inhibitory effect on kinase II, a bradykinin-degrading enzyme that significantly reduces the risk of developing dry cough in patients, compared to an ACE inhibitor group. A single intake of the drug has a pronounced decrease in systolic and diastolic blood pressure after 6 hours, then for 24 hours the level of blood pressure gradually decreases and is maintained. Constant reception makes it possible to achieve the maximum hypotensive effect in 20-40 days after the start of the drug. The tablet quickly dissolves and undergoes the process of absorption from the gastrointestinal tract. Its bioavailability is more than 30%. The maximum concentration of losartan in the blood is reached within 50-60 minutes after administration. In the process of achieving the goal, the substance enters the metabolic system in the liver and turns into a more active product (metabolite), which directly causes the hypotensive effect. The maximum concentration of the metabolite in the blood is reached after 4 hours. The half-life of losartan is 1.5-2 hours, and its active product of metabolism is from 6 to 9 hours. Most (60%) of the drug is excreted through the intestines, as well as through the kidneys (35%). For patients with cirrhosis of the liver, a lower dose should be selected. Since studies have shown that in such patients the concentration of losartan in the blood plasma increases significantly. - individual intolerance to the components of the drug. Carefully select the dose for patients with impaired liver and / or kidney function. Bloktran tablets taken orally, that is, inside. Reception does not depend on the use of food, preferably in the morning, once a day. For the treatment of high blood pressure (hypertension), the average recommended daily dose is 1 tablet (50 mg). In particular cases, it is allowed to double the dosage and take 2 tablets (100 mg) per 1 dose or divided into 2 doses (1 tablet in the morning and evening). In heart failure, the starting dose is ¼ tablets (12.5 mg). Further, depending on the patient's tolerance of the drug, the dose is increased to 1 tablet (50 mg). The increase in dosage should be carried out gradually at intervals of 6-7 days for every tablet, that is, ¼, ½, ¾, 1 tablet. For patients taking parallel diuretics in large doses, you need to adjust the dose to 25 mg per day. Reducing the amount of the drug is also necessary for patients with cirrhotic liver damage, the required amount of the drug at the reception is determined by the doctor. Patients of mature age do not require a dose change, as well as those who suffer from impaired renal excretory function. Children are not taking the drug as the safety and effectiveness of Bloktran has not been studied in this category of patients. Symptoms of a significant overdose of Bloktran are: an abnormal heart rhythm - tachycardia or bradycardia and a marked reduction in blood pressure below normal. Help with overdose: forced diuresis, symptomatic therapy, eliminating arrhythmia and hypotension. Hemodialysis is not recommended due to its ineffectiveness. Bloktran can be taken along with other drugs for hypertension. It is necessary to control blood pressure, as it is proved that losartan is able to potentiate the hypotensive effect of drugs from the groups of beta-blockers, diuretics, sympatholytic, etc. There is no interaction with digoxide, cemetidine, phenobarbital, indirect coagulants, hydrochlorothiazide. When dehydration caused by previous treatment with high-dose diuretics, the use of Bloktran can cause a pronounced sharp decrease in blood pressure. Preparations of potassium and potassium-sparing diuretics when taken with Bloctran lead to the development of hyperkalemia (an increase in the concentration of potassium ions in the serum). It is strictly forbidden to take Bloktran during pregnancy, as it is proved that drugs whose mechanism of action is based on the regulation of the renin-angiotensin-aldostenone system, lead to defects in fetal development or even death. Reception Blokrana when confirming the fact of pregnancy should be stopped immediately. In the case of the appointment of the drug in the period of breastfeeding, you must immediately stop feeding or refuse to receive Bloktran. Nervous system disorders: sleep disturbance, dizziness, memory impairment, headache, depression, migraine, ataxia, asthenia, fatigue. On the part of the senses : sometimes ringing in the ears, change in taste perception, blurred vision, inflammation of the conjunctiva. On the part of the respiratory system : rhinitis, bronchitis , rarely cough, violation of respiratory rhythm. On the part of the musculoskeletal system : pain and cramps in the muscles of the legs, back, arthritis. From the side of the heart and blood vessels : a sharp decrease in blood pressure associated with a change in body position, arrhythmia with slowing or accelerating the frequency of contractions, angina . From the urinary and reproductive system : false urge to urinate, inflammation in the urinary tract, weakening of sexual desire, impotence. Skin : hypersensitivity to sunlight and light, sweating, drying of the skin, alopecia. Allergic status : rash, itching, swelling in the face. Reception of Bloktran in most cases is well tolerated, and rarely occurring adverse reactions are temporary in nature and do not require immediate cessation of drug use. Store in a dry place at a temperature not exceeding 30 ° C. Keep out of the reach of children. Use no more than 2 years from the date of issue. When carrying out dehydration, you should carefully start taking Bloktran with lower doses. In patients with renal artery stenosis, the drug causes an increase in the concentration of urea and creatinine in the blood serum. Receiving Bloktrana requires regular monitoring of the concentration of potassium in the blood, especially in renal disorders and in elderly patients. 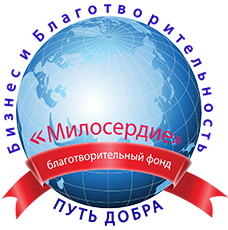 In case of renal impairment, the dose of the drug is not reduced, but the patient's condition must be under the supervision of specialists. When hepatic impairment should reduce the dosage, as well as to observe the status of organs and systems. For older people there is no need to adjust the dose. Children under 18 are not applicable. The drug belongs to the list of prescription drugs. Contact a pharmacy with a prescription from a doctor. 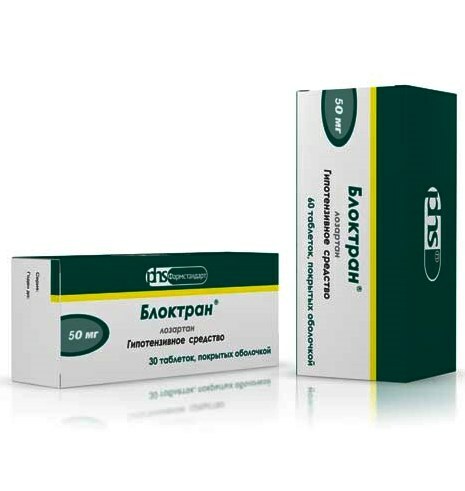 Blotran tablets 50 mg - from 150 to 195 rubles.